The track workers take a break on the disused up loop at Grange Court on 14 January 2011, as 170110 passes by with the 1V05 08:08 Nottingham to Cardiff Central CrossCountry service. Note the dead straight track heading off into the distance. 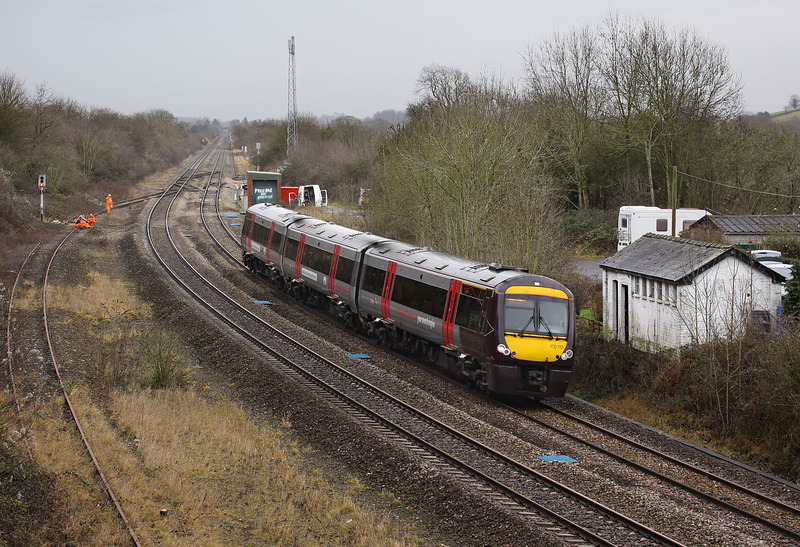 After the twisting route required to follow the River Severn from Chepstow, the line now encounters few obstacles as it heads across the flat fields towards Gloucester.